We have a few runner ducks, and every so often the duck-egg situation can get a bit out of control - and there's only so many omelettes a person can eat. 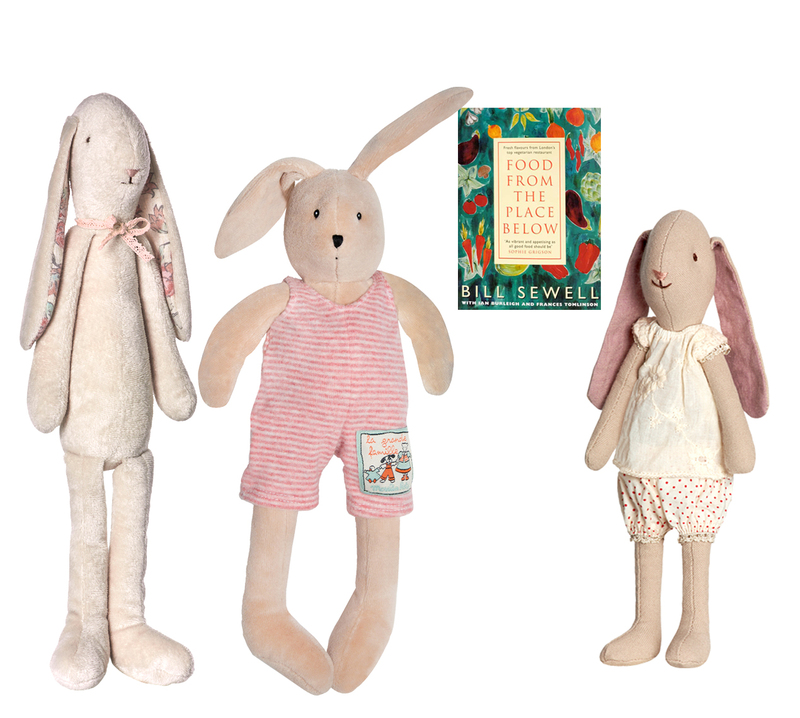 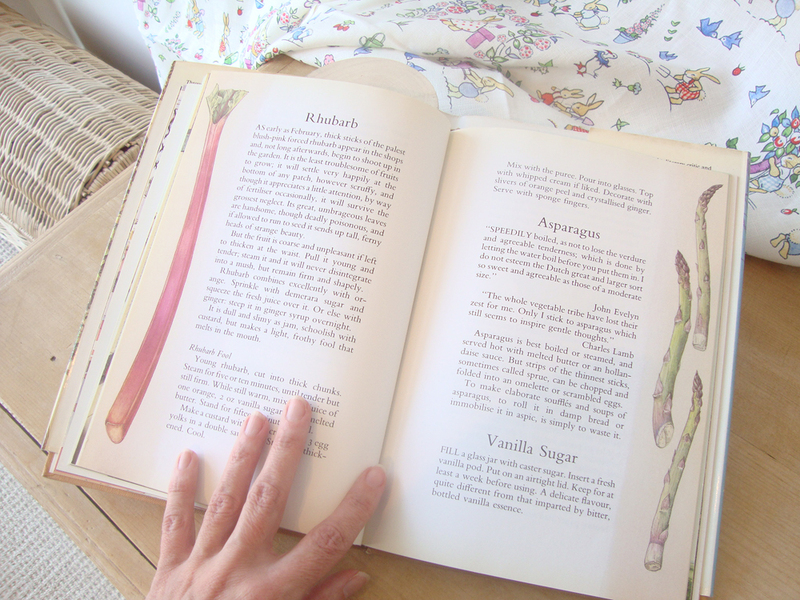 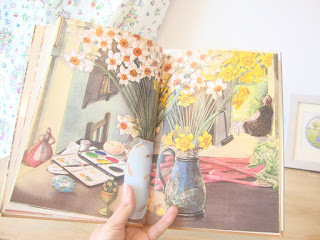 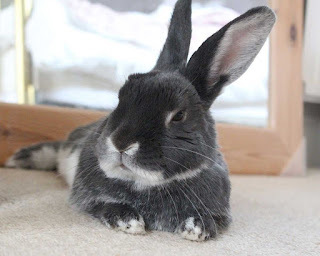 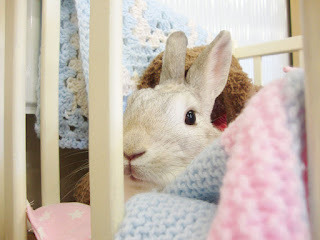 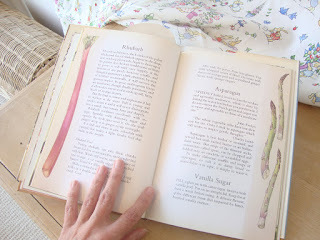 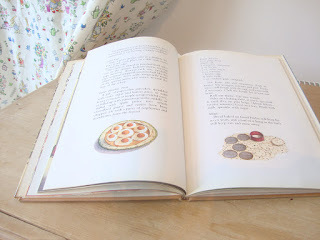 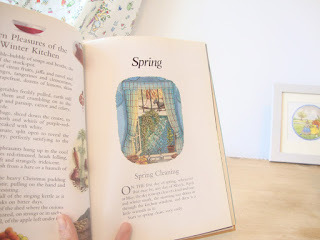 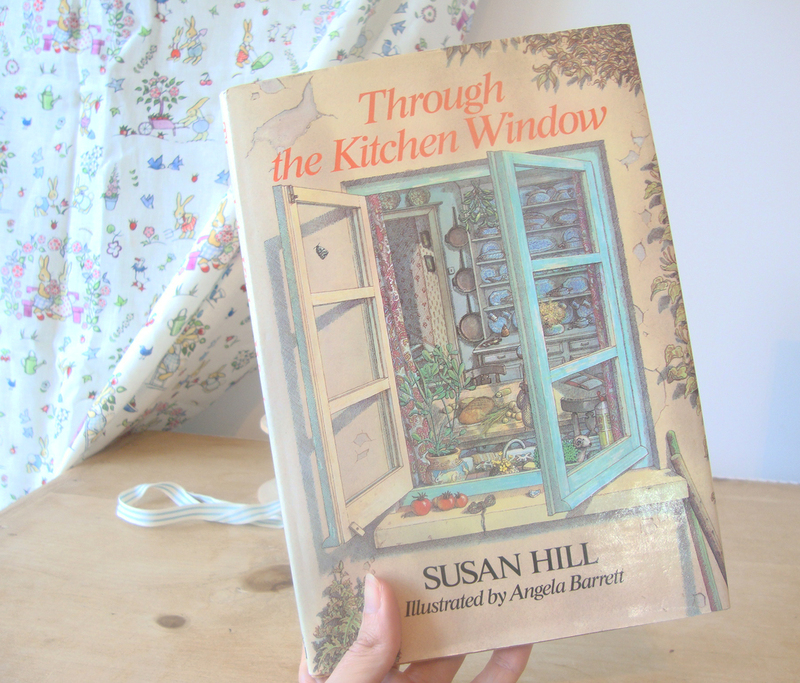 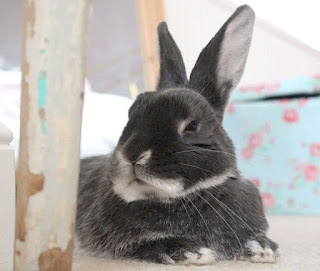 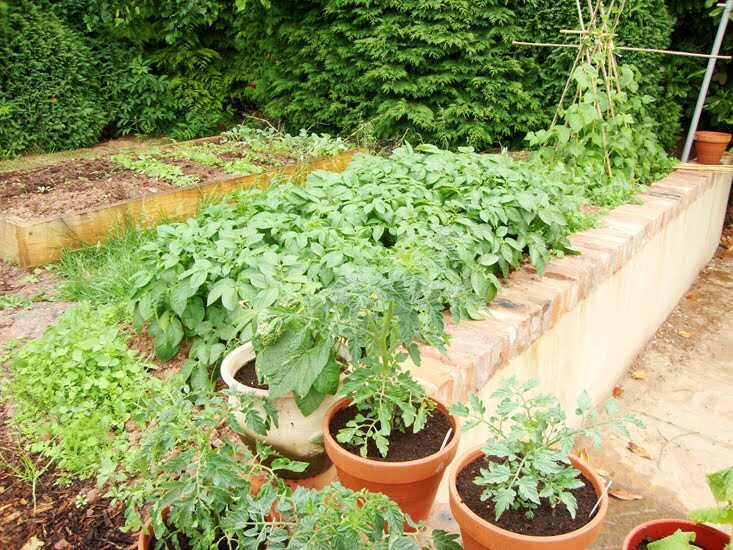 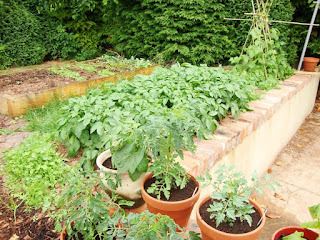 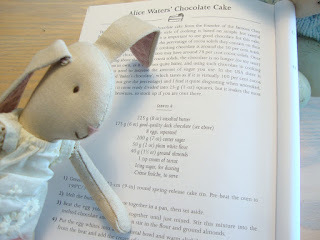 So not long ago, I asked three of the Cottontails Baby bunnies for a bit of help in using up a surplus of eggs - and together we came across the Alice Waters Chocolate Cake recipe. 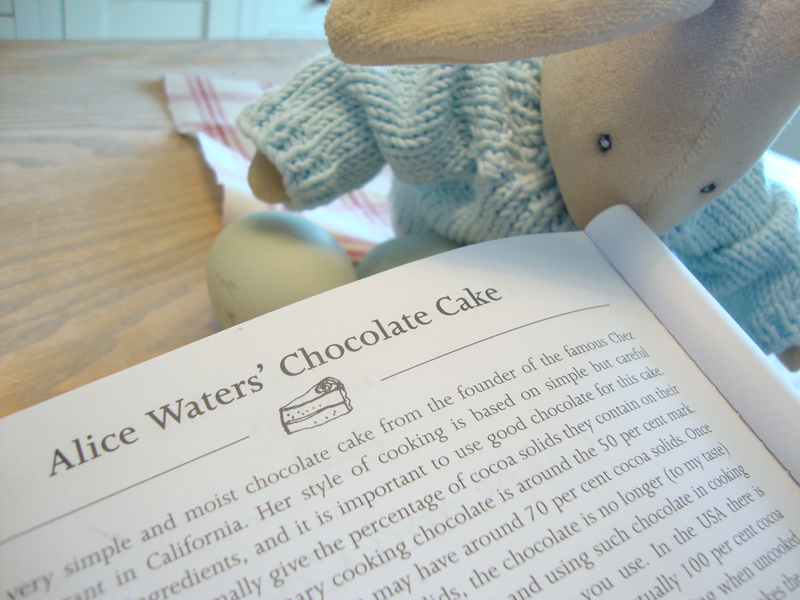 Not only is it a chocolate cake - never a bad thing - but it calls for no less than EIGHT EGGS! 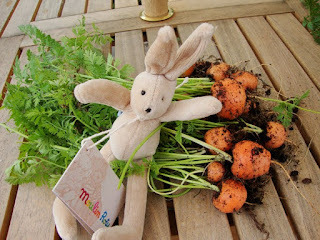 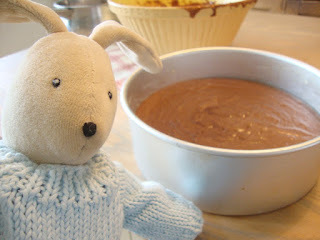 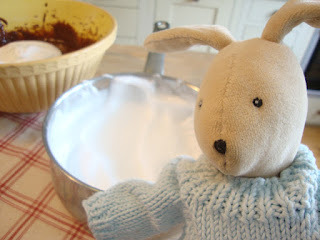 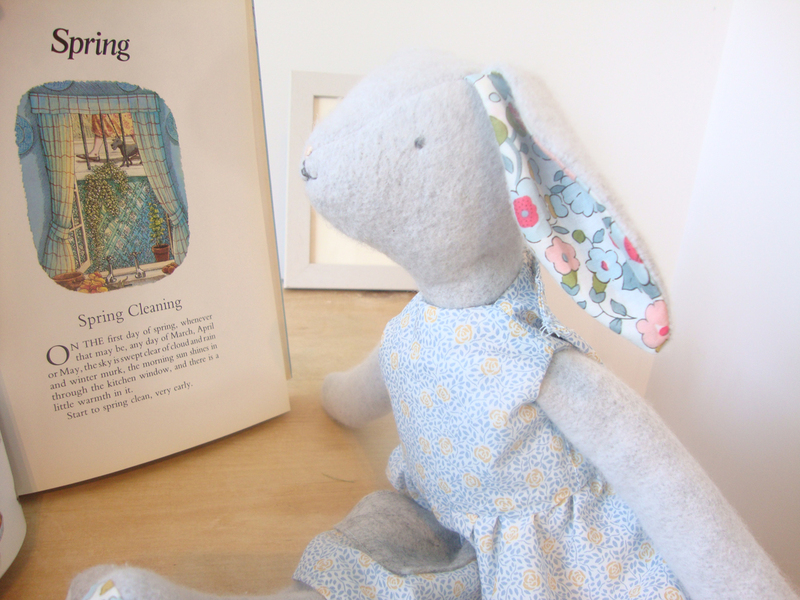 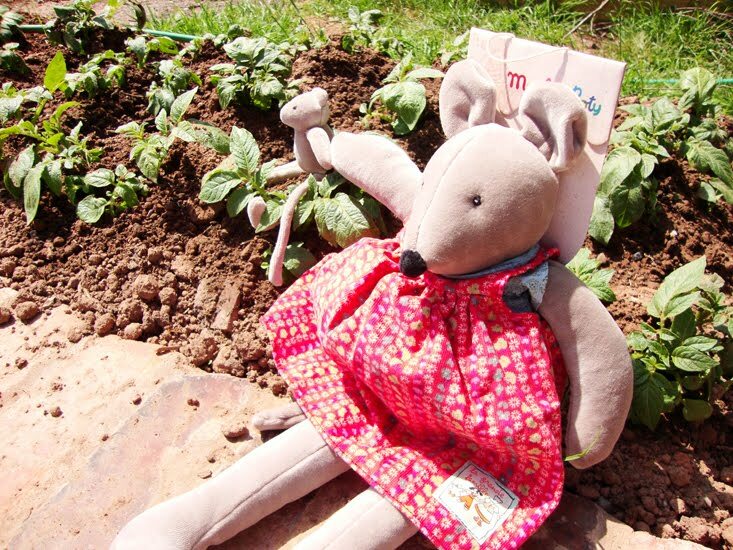 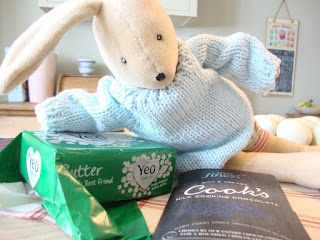 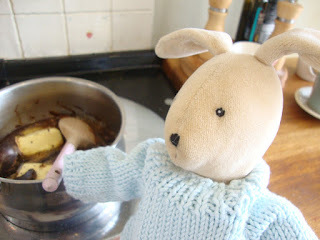 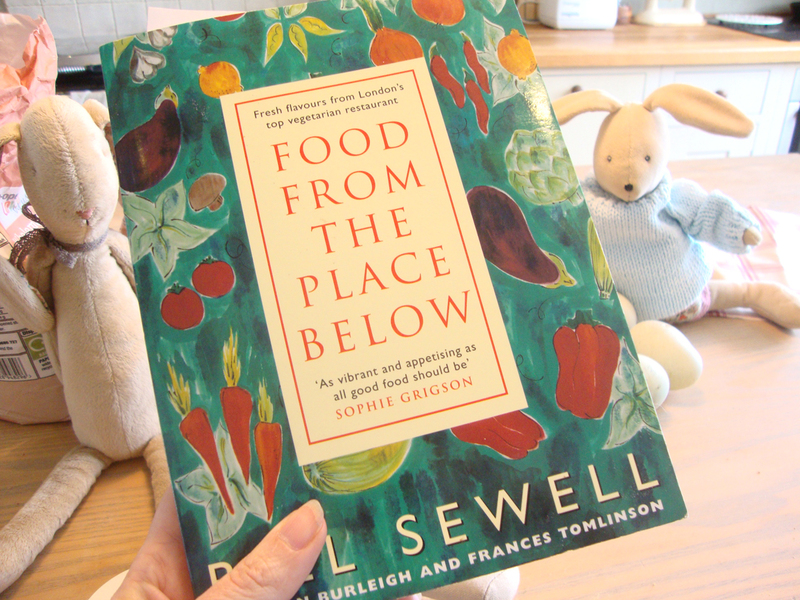 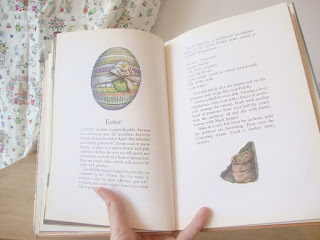 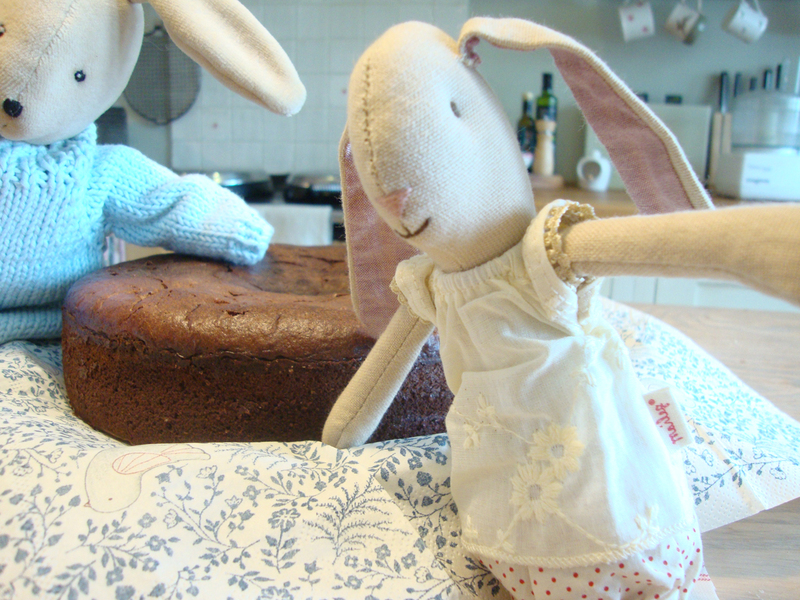 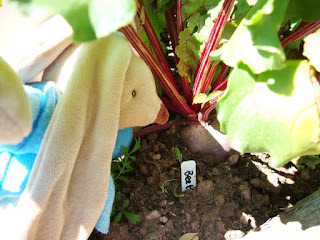 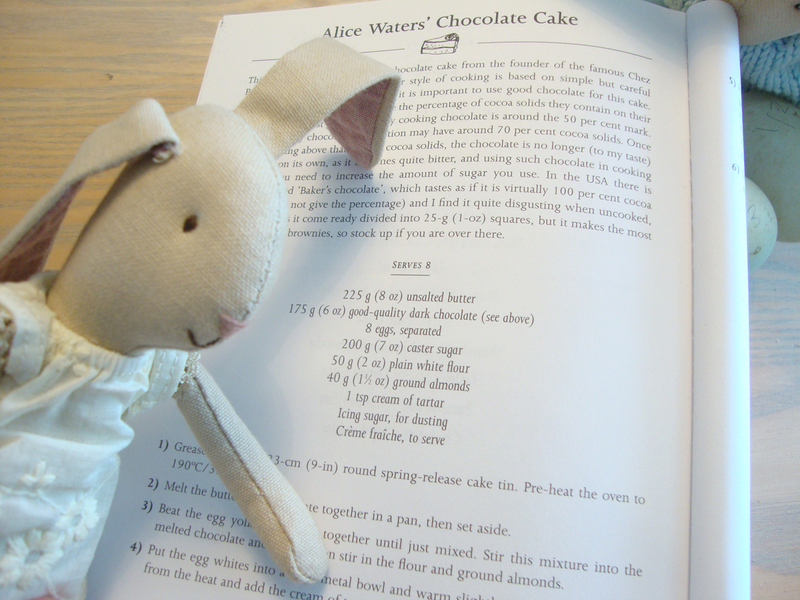 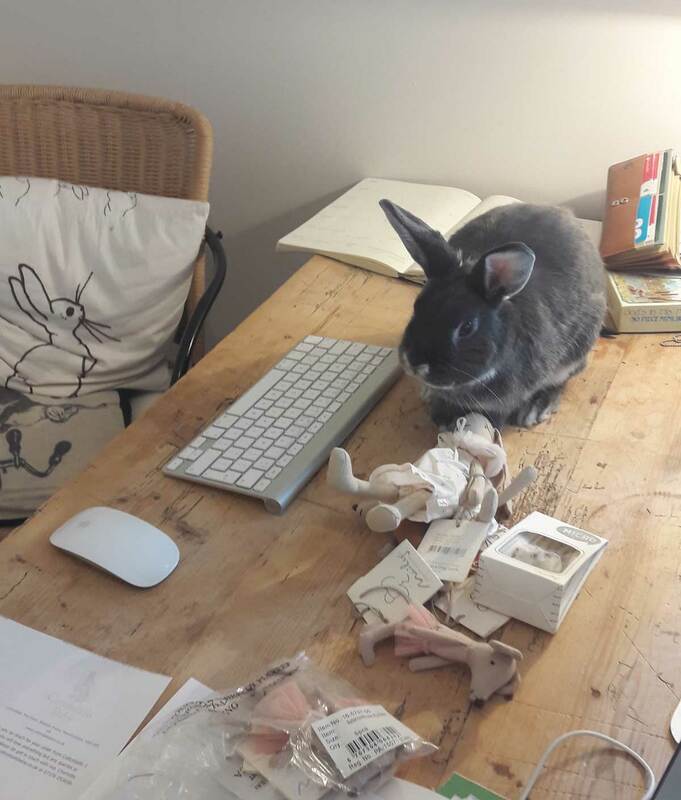 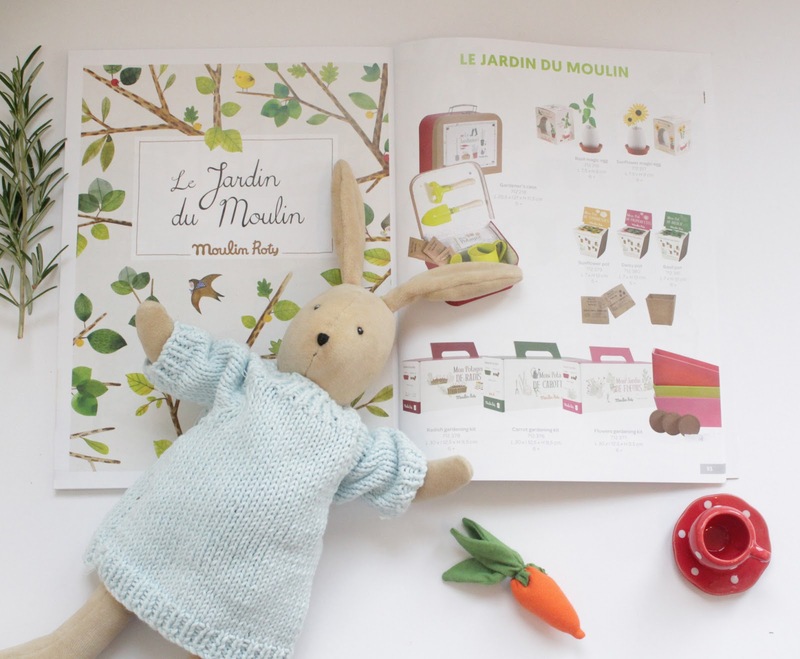 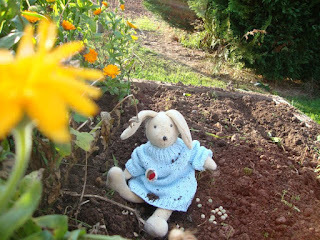 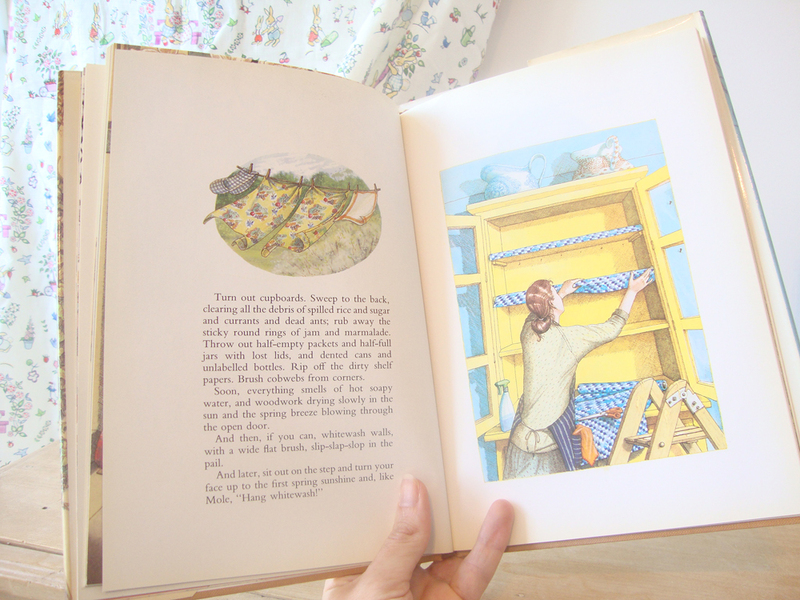 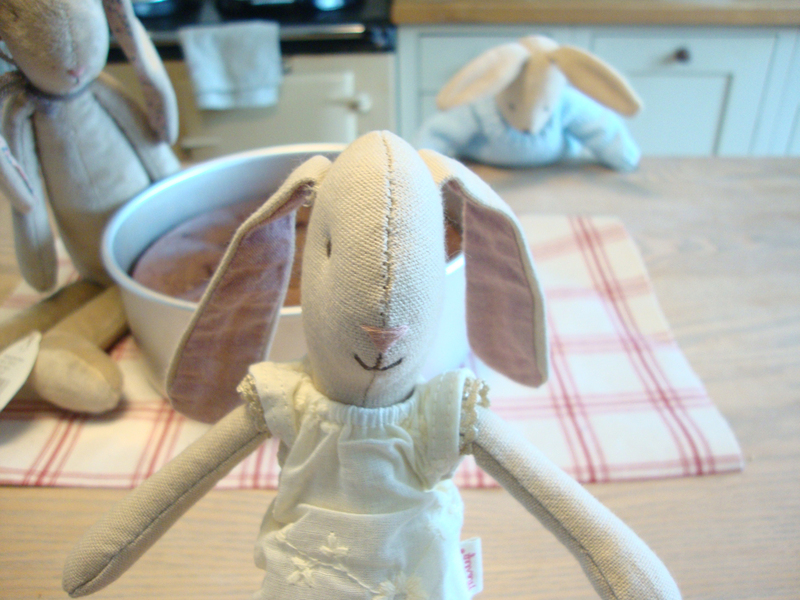 Mini Maileg bunny finds the recipe - which calls for EIGHT EGGS! 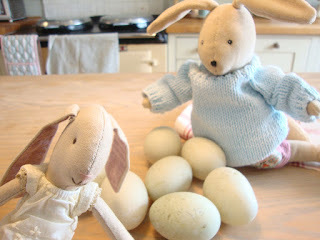 The bunnies count the EIGHT EGGS! 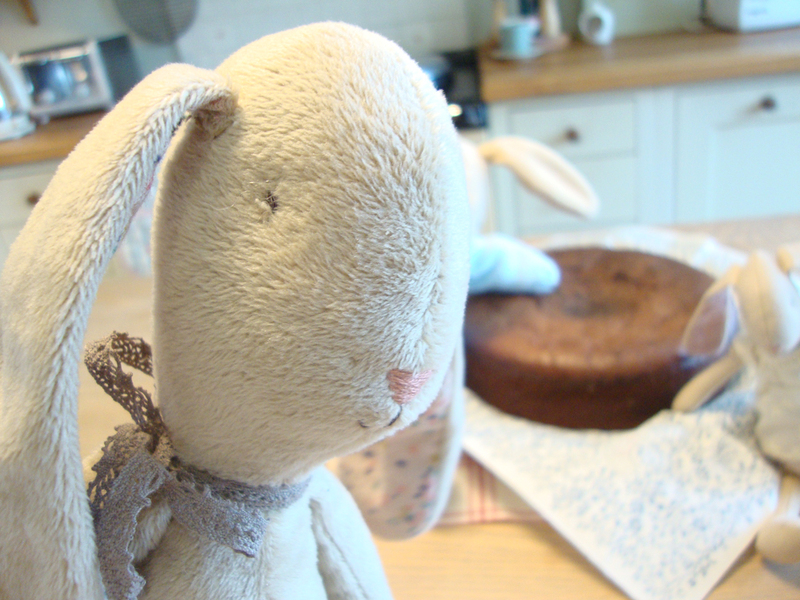 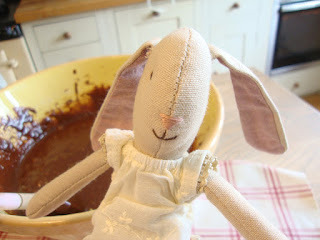 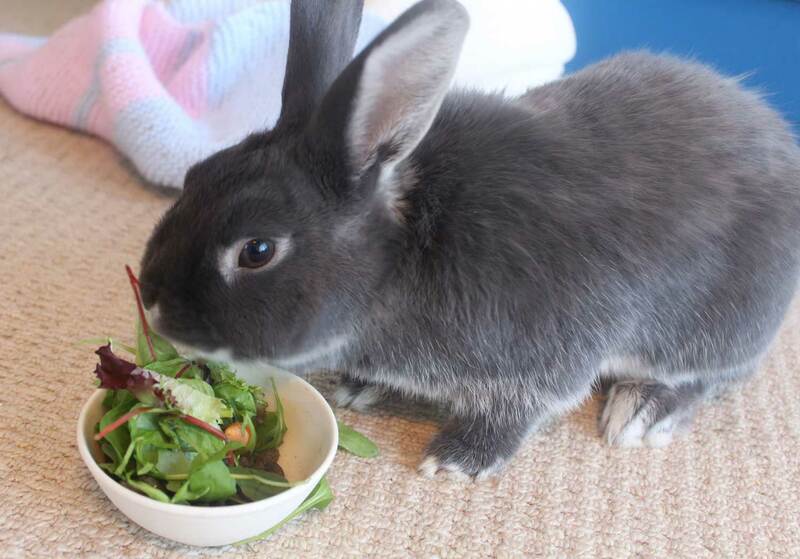 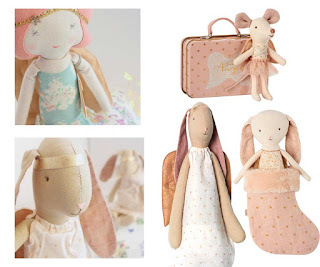 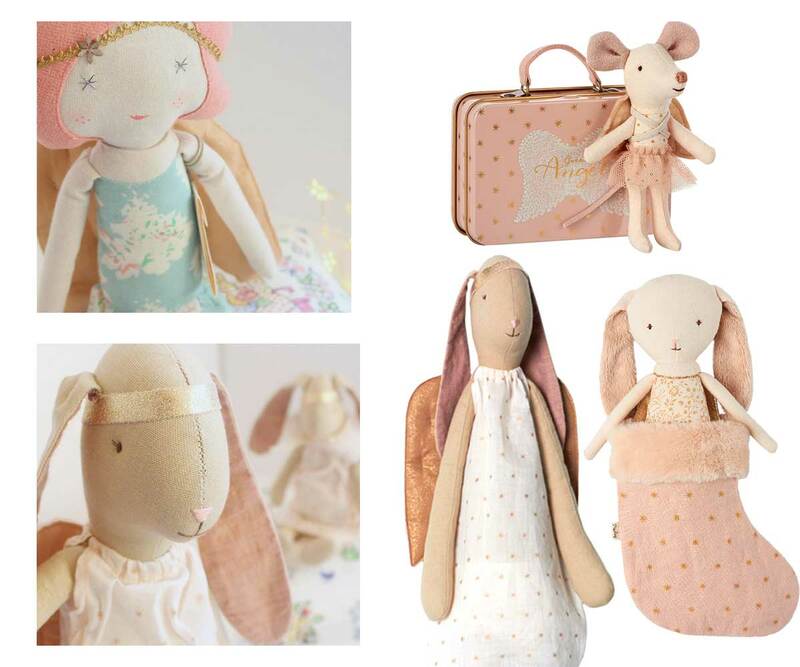 Yum yum - the bunnies sit down for a cup of tea and slice of chocolate cake! 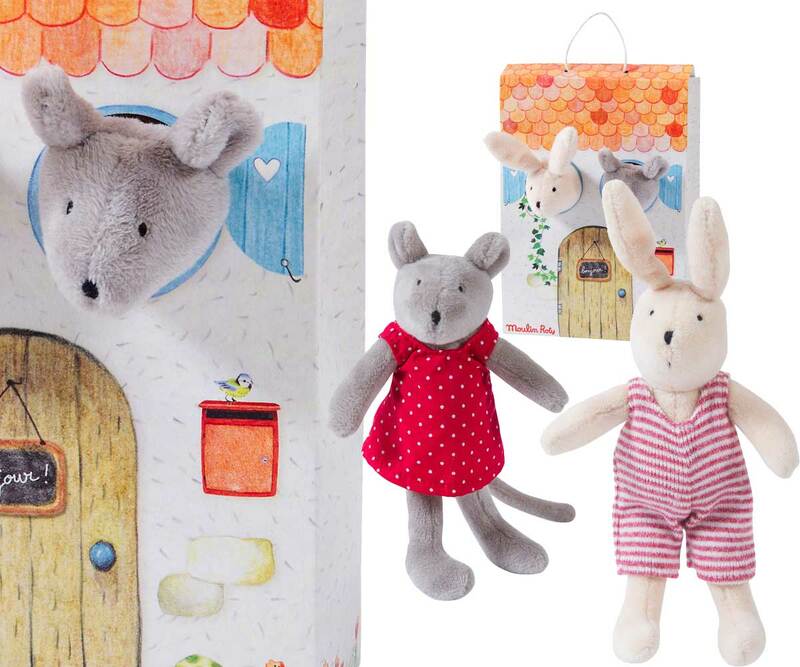 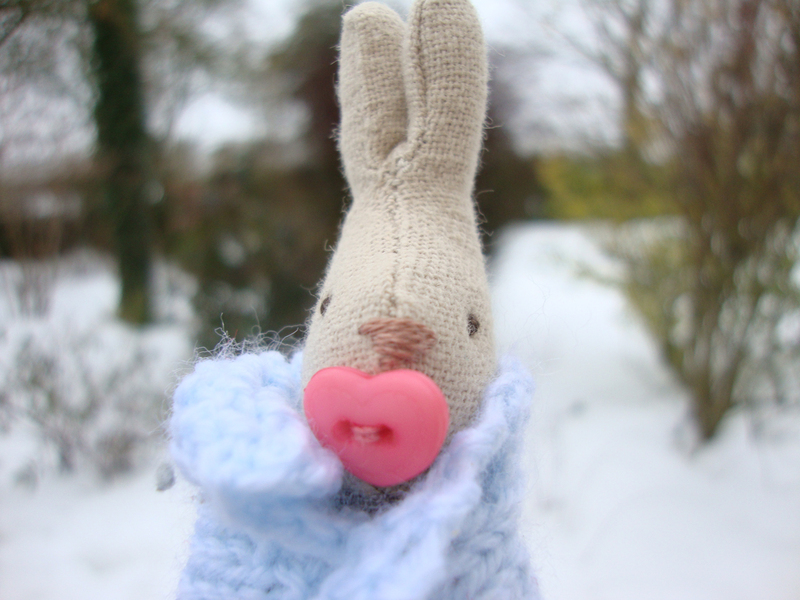 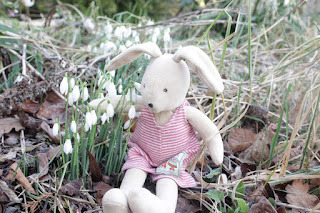 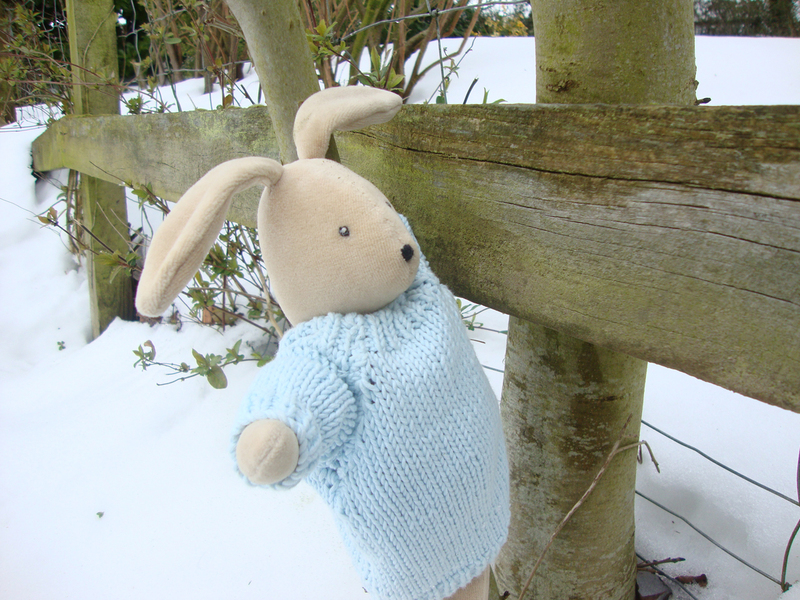 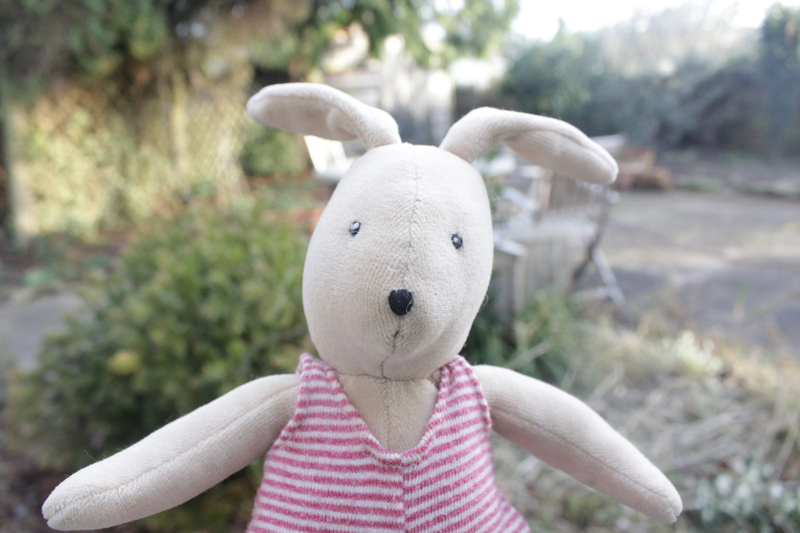 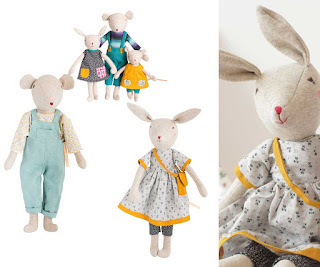 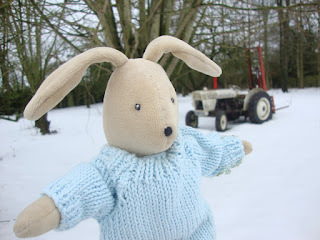 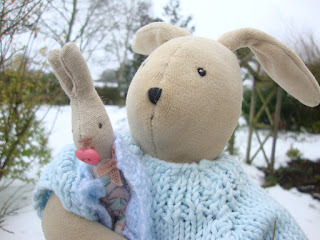 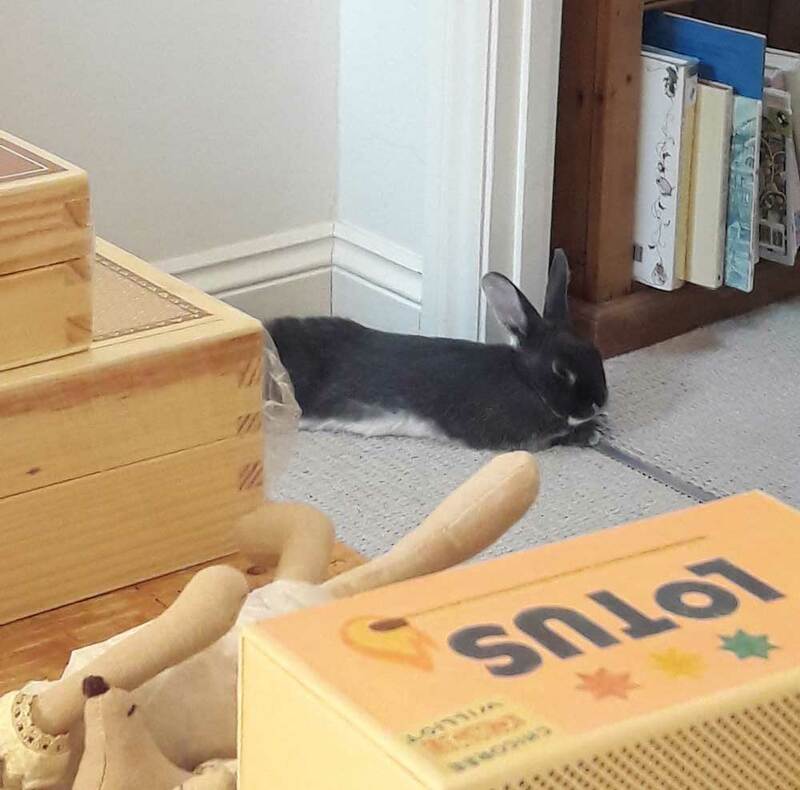 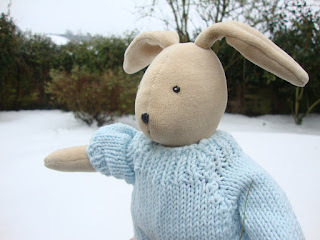 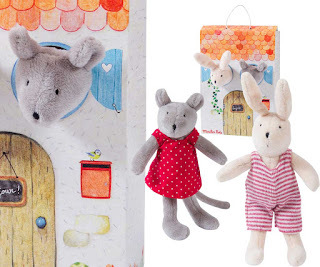 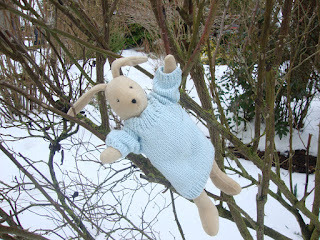 It's Snow Day Four here at Cottontails Baby HQ, but it's much milder outside, so this afternoon Sylvain decided to venture outside - and to take baby Maileg bunny for her first ever play in the snow. ... unless he gets the tractor going and uses it to clear the drifts? 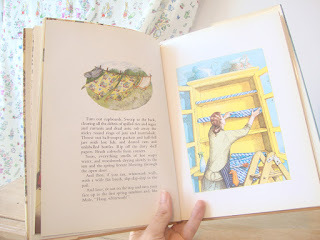 But he struggles to reach the peddles so decides against this idea.